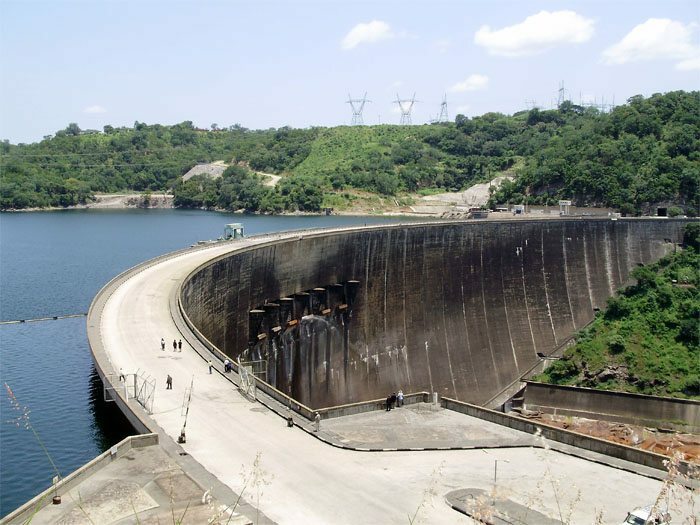 Zambia and Zimbabwe will receive US$294m from World Bank, European Union (EU), the Government of Sweden and the African Development Bank for the repair of the Kariba dam wall to prevent its collapse. Work is expected to begin early 2016 and is expected to last for six years with minimal disruptions. The giant hydropower station, which supplies the two countries, had an expert assessment done on it revealing possibility of wall collapse due to pressure on the swelling walls as water builds up against it – passage of water was being blocked and wall was weakening due to continued chemical reactions on the wall. The results indicated that the 55-year old wall was at risk of collapsing because of the uncontrolled outflows of water from the spillways which have eroded the walls. Kariba dam reconstruction project will include remodeling of the plunge pool to minimize scouring of the foundation. There will also be repair of the six spillway gates. The Minister for Finance in Zambia Alexander Chikwanda noted that the collapse of the dam would be catastrophic and in case of a post collapse, the two countries would need US $5bn. According to the EU ambassador to Zimbabwe Phillipe van Damme, thKariba dam reconstruction project was considered an emergency, thus the EU resolved to marshal for funds as it was important for work on the dam to start as soon as possible. EU will give US $100m, World Bank and AfDB US $75 each while the remaining amount will come from the Swedish Government. Last year, expansion works on the dam that would see it generate 1050MW from 750MW was initiated.